Love swimming? How about a refreshing dip while floating in mid-air? That's the unique experience on offer to residents of a luxurious apartment block planned for central London. 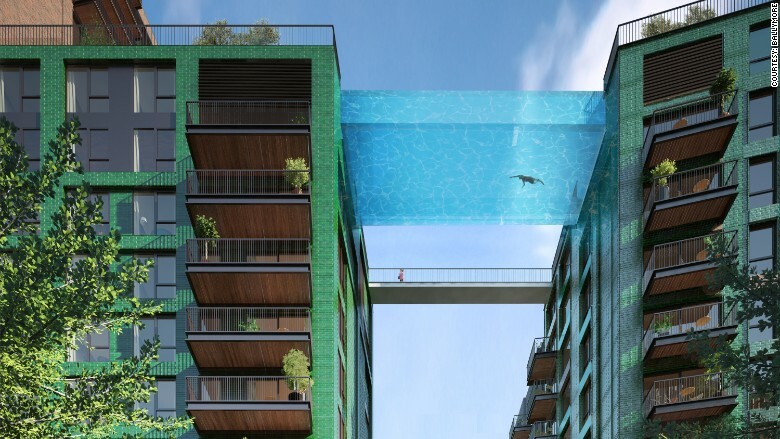 City officials have given developers permission to build a transparent aquarium-like swimming pool hanging 10 stories above the ground. 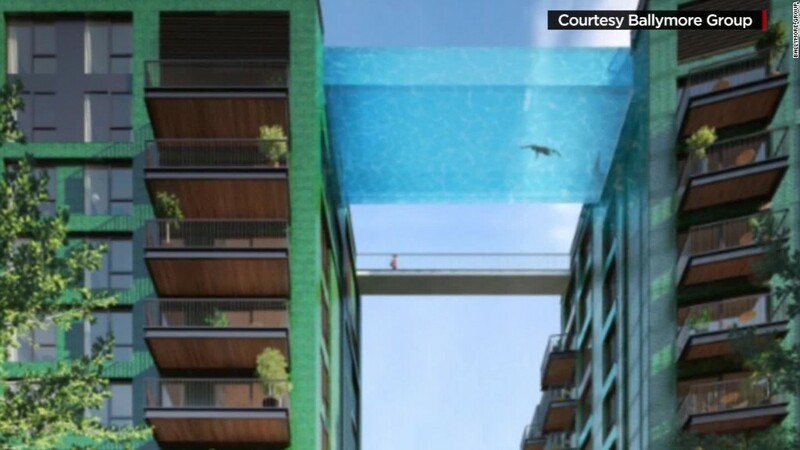 The pool will be 90 feet long with water four feet deep. Its thick glass floor is designed to give swimmers the sensation of "floating in the sky," according to the Ballymore Group. It expects the first apartments will be occupied in 2018. 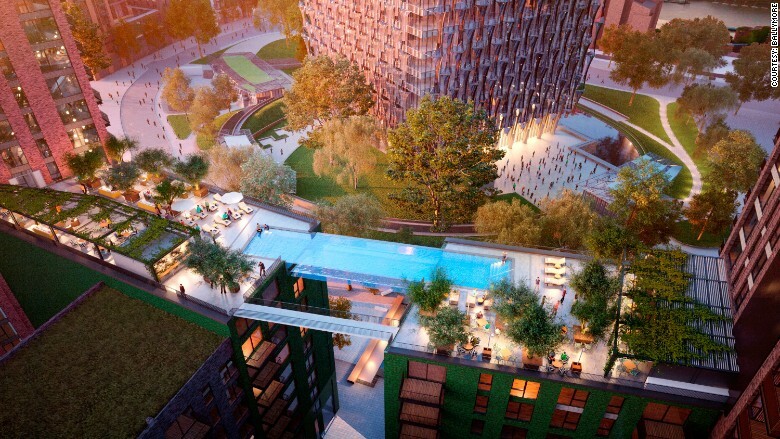 Once tired of swimming, the block's residents will be able to relax on a communal roof terrace and admire the views of Big Ben and the London Eye. The luxurious £1 billion ($1.6 billion) apartment development will have the new U.S. embassy as its neighbor, and is just around the corner from Battersea power station, the landmark depicted on Pink Floyd's 1977 album "Animals." The project is the latest example of London's luxury property boom. The value of the city's real estate has surged by $1.5 trillion over the past five years. House prices have risen 10% over the last year alone. Not surprisingly, living at the new development will come at a price. The smallest apartments are expected to cost nearly $1 million. But hey, where else can you get a pool like that?